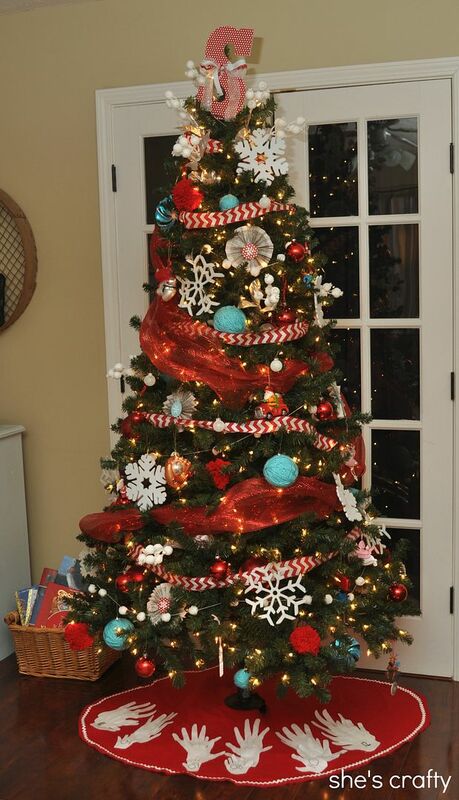 I decided to go a little non traditional with our Christmas tree colors and decor this year. Red is my most favorite color so I always incorporate it. 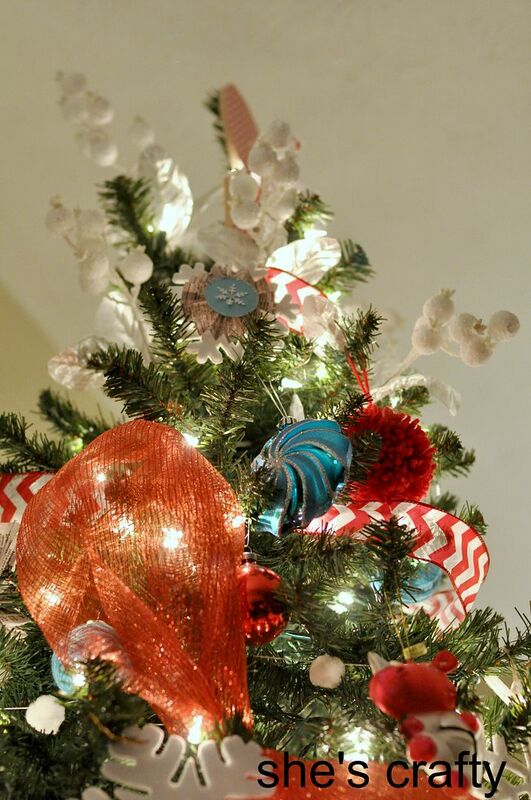 And since my living room has some blues in it, I decided to go with a red and aqua Christmas tree. 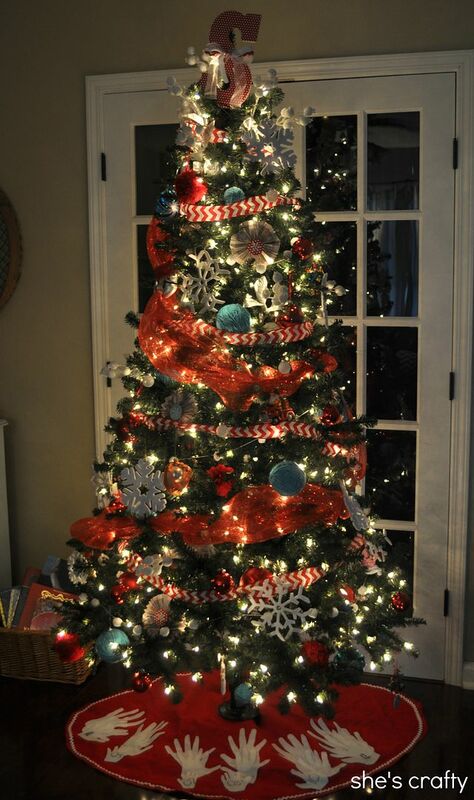 Here is our tree!! 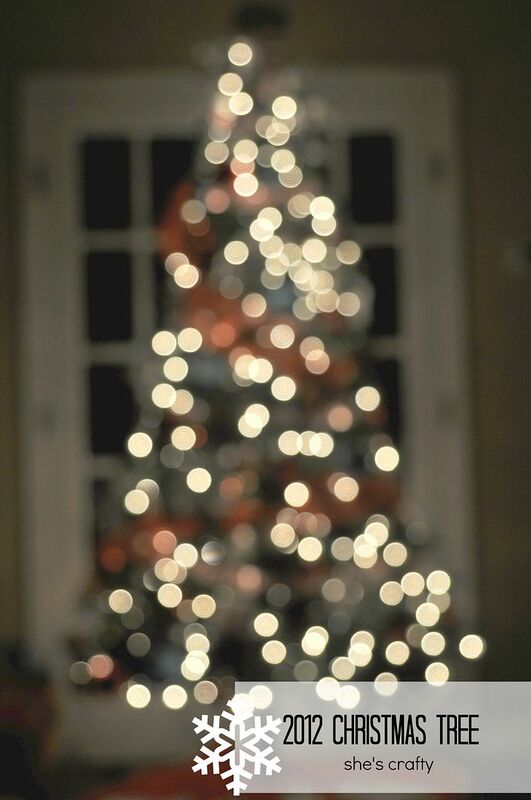 There is nothing better then a tree all lit up for Christmas!! 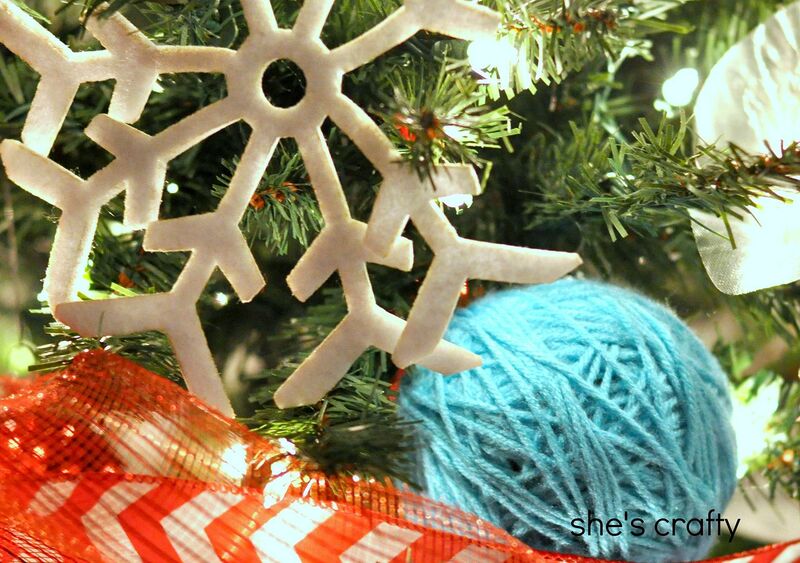 For ornaments I used felt snow flakes and handmade (idea from my friend Emily) aqua yarn balls. 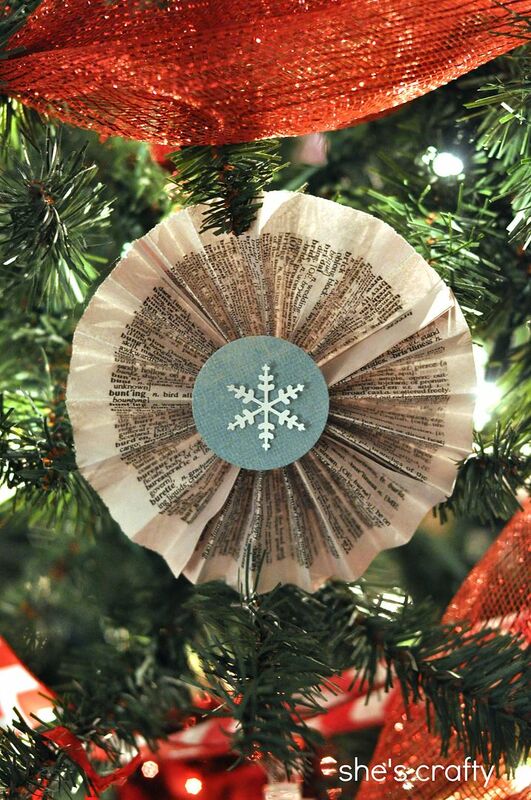 I made some paper ornaments (I think they are called lollies) from dictionary paper with a punched circle and snowflake from cardstock. 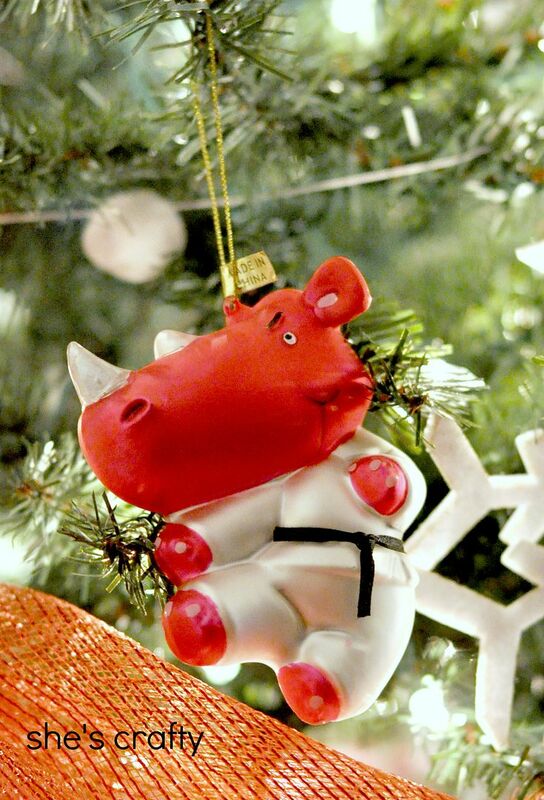 We also have some homemade ornaments which are always a favorite!! 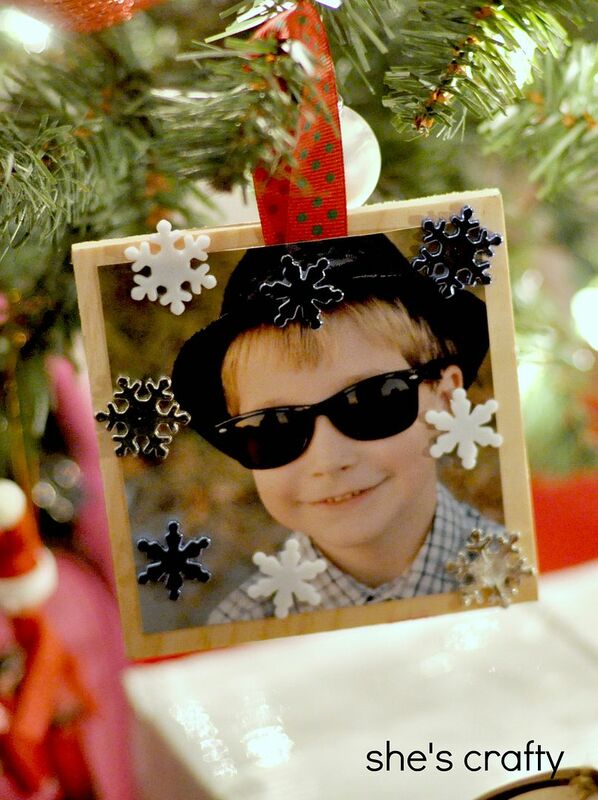 And every year we have a tradition to choose a new ornament- so we always add them to our family tree! 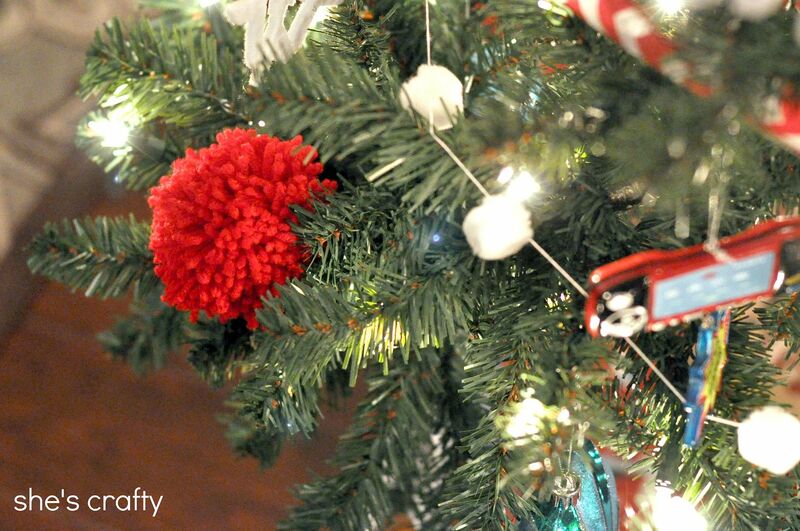 and I made a white pom pom garland just by hot gluing white pom poms to string. 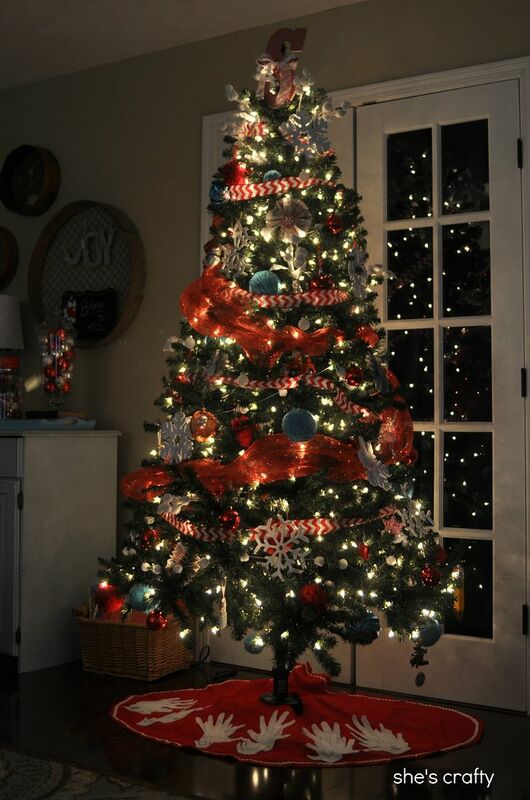 Here is the tree in the day time. 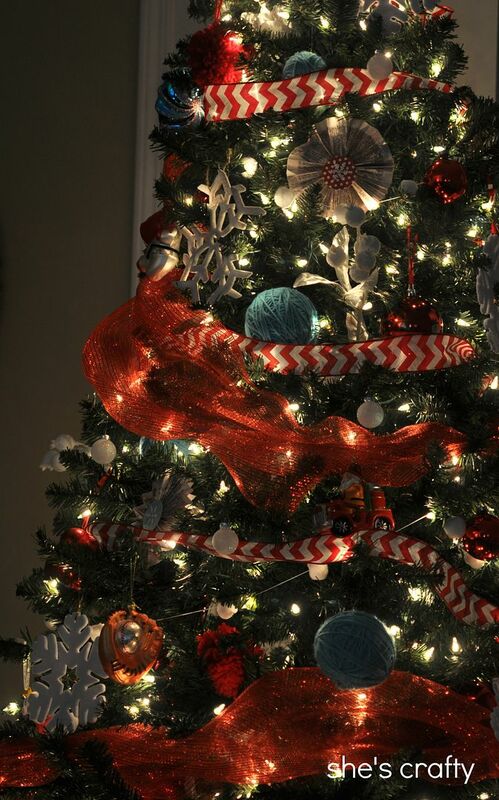 Our tree skirt is made from red felt. Every year I trace my kids hands and sew (or hot glue) a new set of hand prints onto the skirt with the year. 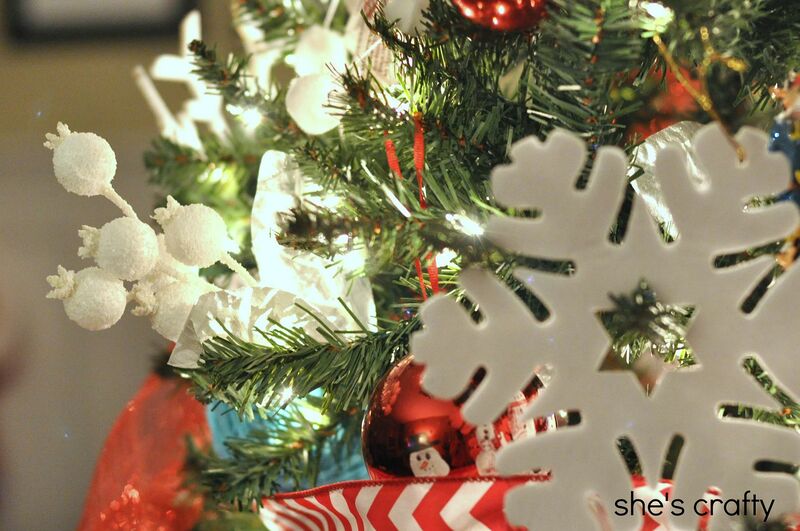 Remember that the greater part of the christmas tree thoughts underneath work best as little tabletop trees or occasion table centerpieces.